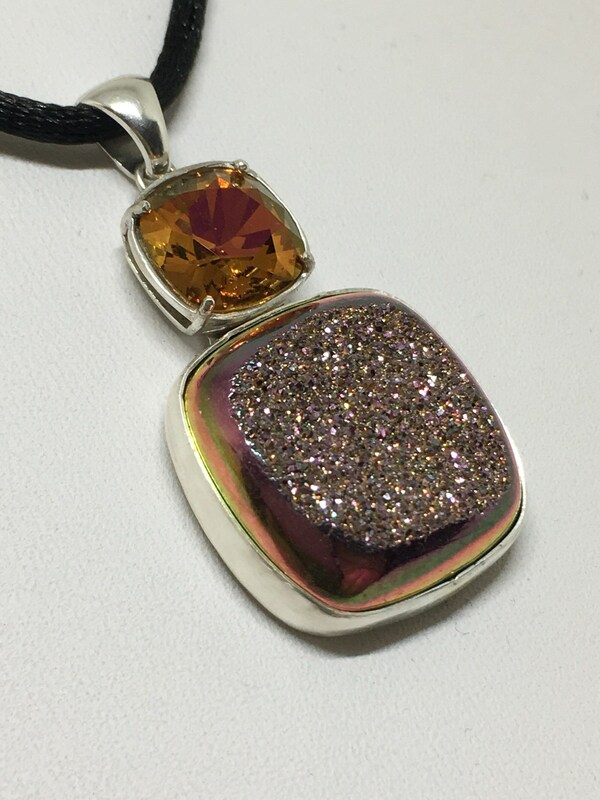 This is a beautiful handcrafted pendant made with a 3/4”x3/4” purplish Druzy and a 10mm Mahogany Swarovski Crystal. 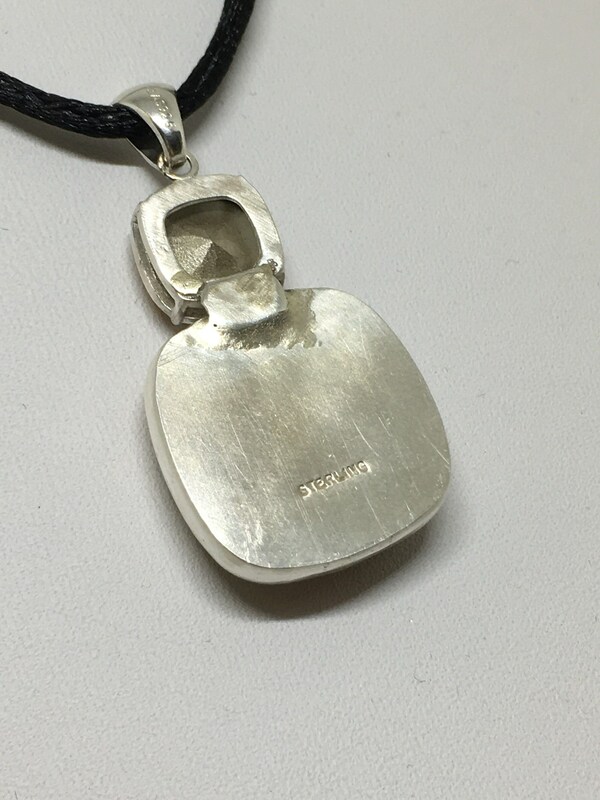 All set in a sterling silver setting. 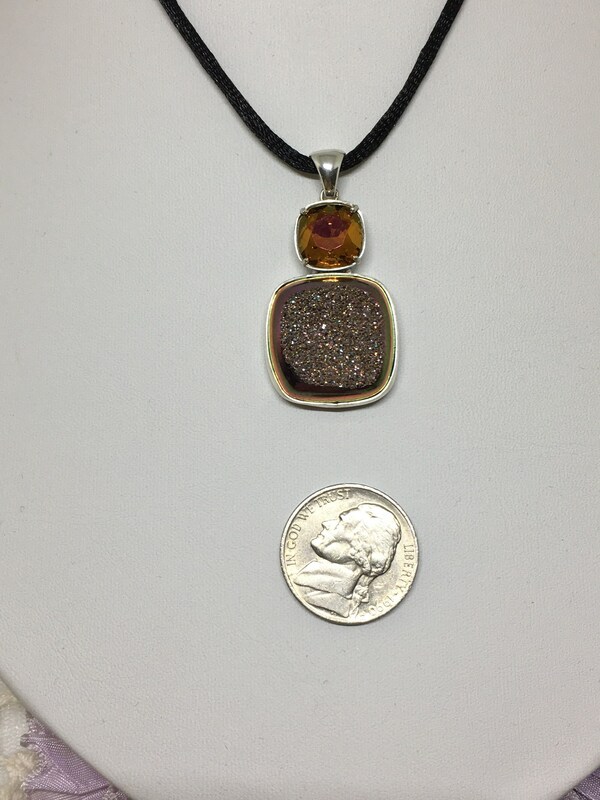 The pendant measures 3/4” x 1 1/2”. 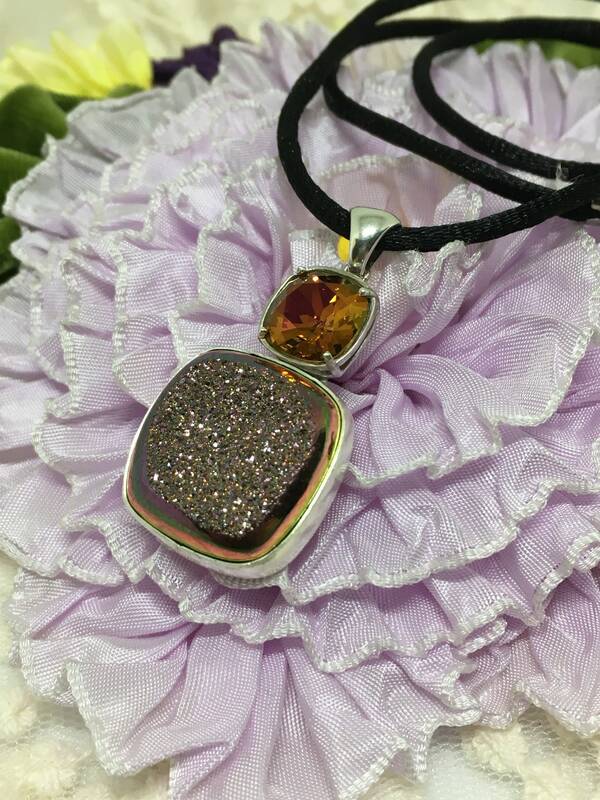 Makes a great gift.